For Juana Ghani, too much is never enough. While some bands stop at, say, five members, Juana Ghani has 11. Belly dancers add an extra layer of entertainment to any live show; Juana Ghani throws in pole dancers and a magician, to boot. Most bands release a debut CD; this underground gypsy collective also released a complementary work of prose. Juana Ghani’s signature poppy-polka sound is consistent throughout Shall We Live Forever, the band’s first studio album, as the members utilize Old World instruments to produce something unique. Steady drums, intricate bouzouki and romantic accordion can be found underneath the strong, feminine voice of lead singer/ band manager Leisl Bonell. From Shall We Live Forever’s somber beginning, “Murder of Crows,” a song that tells of a hunted gypsy group that must kill to achieve their freedom, the album continues in the same vein of semi- nightmarish fantasies of violence, revenge, desire and struggle. They sing the second track on the album, the popular Romani song “Amari Szi Amari,” entirely in Romani, giving the album an authentic gypsy feel. The album becomes almost dizzying with its repetitive downbeats and backup vocalists howling various vowels behind every track. However, the true spirit of Juana Ghani cannot be found merely by listening to the CD, which, while appealing, is a short-hand version of their overall aesthetic. They’ve infused their performances with belly dance and magicians to complement the motifs in Shall We Live Forever and have released Leisl’s husband, Brian Bonell’s, novella Kasojeni Bay to accompany the album’s lyrics. “I sat down one Saturday morning and just started writing, and it ended up being kind of a back story to a lot of the lyrics that we have released on this album,” Brian says. The novella is titled after a track on the album that tells a disturbing tale of star-crossed lovers, with an ending reminiscent of Sweeney Todd. The book, while it contains many dreary stories of its own, possesses a sense of magic that’s far removed from typical daily life. Combined, the album and novella allow one to delve deeper into the mystical world of Tarot cards and haunted forests where Juana Ghani resides. Since the group’s formation two years ago, the 11 members have become more than a band. They define themselves as a community of artists that believe expression comes in many shapes and sizes. 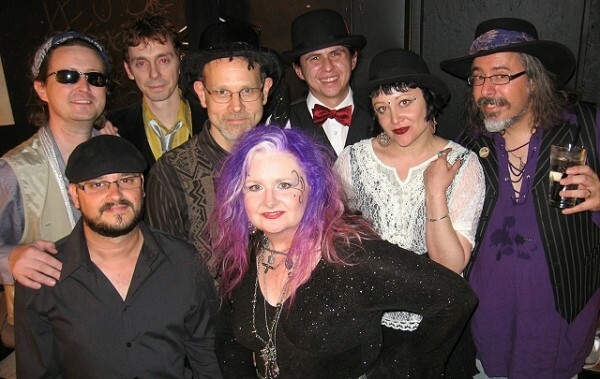 Juana Ghani says they didn’t seek to become an “underground gypsy cabaret band,” but that the title emerged from their eclectic cast and the variety of performers who made up the original group. Now, the band has embraced the genre as they continue to strive to make their shows an experience and share the magic of the gypsy spirit. Friday, July 13, 8 p.m.